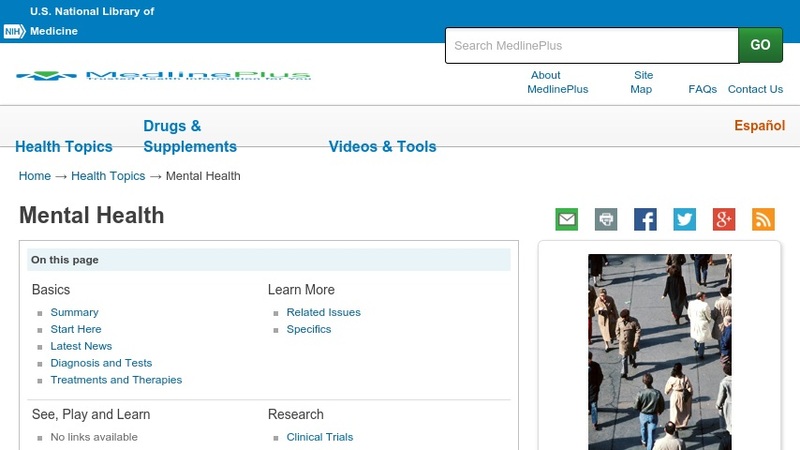 Medline Plus is a service of the U.S. National Library of Medicine and the National Institutes of Health, and is a formidable source of information on all matters of health. It's no surprise then, that the Mental Health page is a stellar source of information. It features articles on the latest news which are organized by broad subject headings with more specific headings just underneath. Covering such issues as Diagnosis/Symptoms, Treatment, Nutrition, and Coping, the mental health professional, student or instructor will find this page extremely useful.